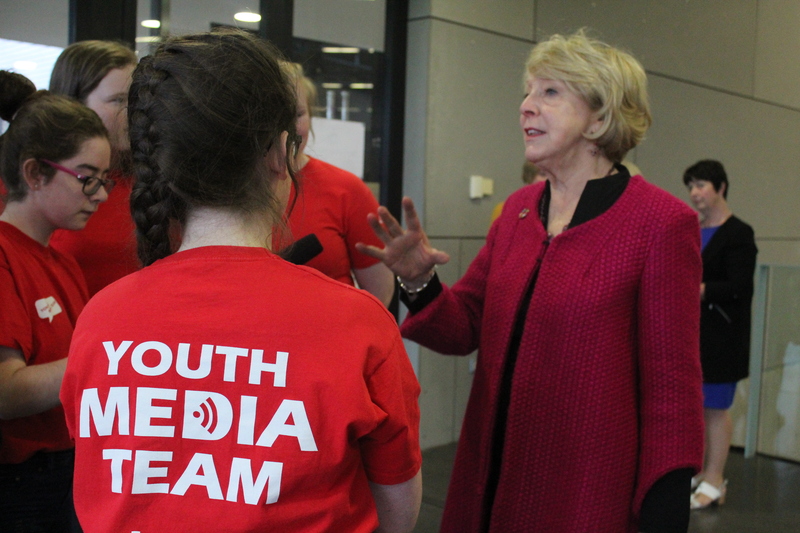 The Youth Media Team talked with Sabina Higgins, wife of the President of Ireland. 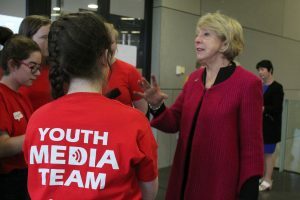 Sabina shared her important message for the young people of Ireland. Sabina said, “Now is the most crucial and important time in the world. Because it’s the first time ever– because of what mankind has done in the last 200 years–that the planet is in danger of not being in existence”. Sabina pointed out that people are doing a lot of work on these problems. 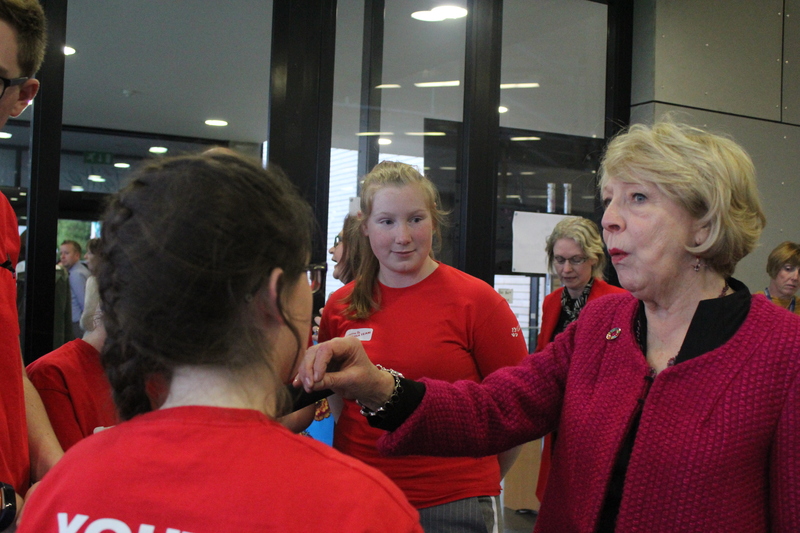 “In the United Nations, and then in Paris, 200 countries signed up to the Sustainable Development Goals. These are 17 little goals there. They’re no poverty, no hunger, good health and well being, quality education, gender equality, clean water and sanitation, clean and affordable energy, decent work, and it finishes up with action for climate change in land and in sea”. 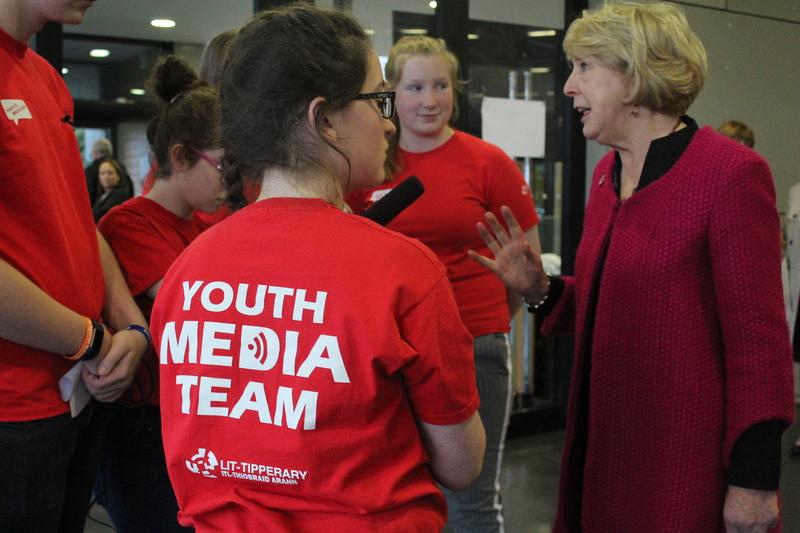 The Youth Media Team met with St Michael’s infant school who formed a guard of honour for President Higgins on his arrival at #FÉILTE. 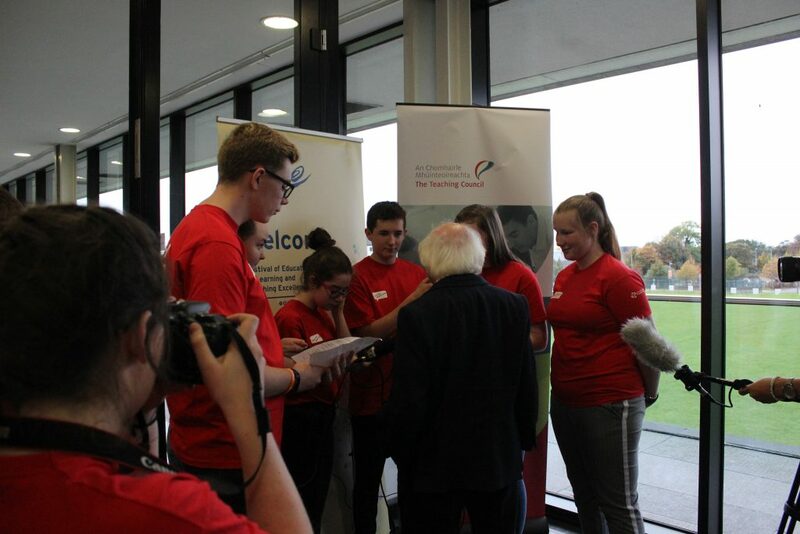 The students happily recounted their experience after their personal meeting with President Michael D Higgins. The Youth Media Team had the honour of interviewing our President Michael D. Higgins at #Feilte. We started our interview with a few words as Gaeilge and asked him what we as young people can do to be proud of our native language particularly with this year being Bliain na Gaeilge. We also asked the President, after his many years of experience in the political sphere, if he has any advice for us young people and how we can use our voice and find our voice in the world of politics here in Ireland and abroad. 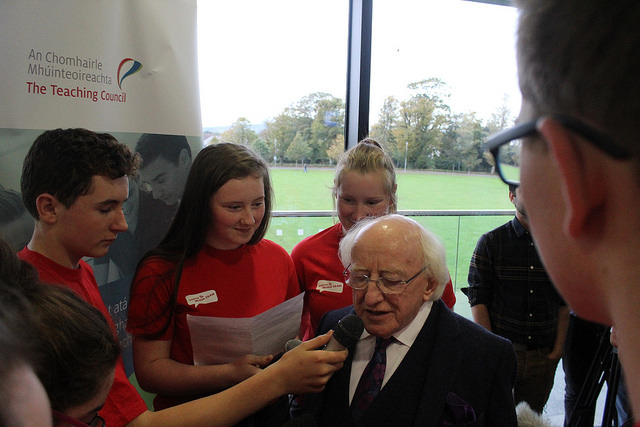 Finally we asked President Michael D. Higgins to tell us about his most important educational influence on his life so far. As a team it was both a pleasure and an honour to meet our President. Interviewing Mr. Higgins was a great experience, one which we will treasure for the rest of our lives. Thank you to President Higgins for taking the time to speak with us!